This 12"x24" impasto painting was crafted onto a handmade wooden canvas. "Miley's Bouquet" features white and pink dahlias with a light green background. 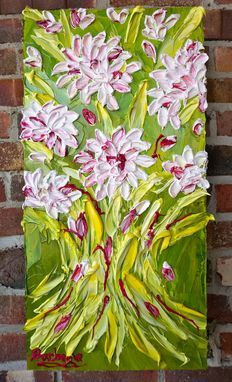 This painting would be a great addition to a girl's bedroom, powder room, or any color in need of a pop of color!